Visiting London and looking for a place to swim? Nice choice! Don't forget to tell us how did it go. 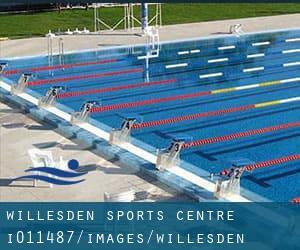 Introducing now Willesden Sports Centre swimming pool, a fantastic swimming pool sent by a swimmer like you couple of days ago. Have you visit this pool? Do you function here? Please, get in touch with us if you have information that you feel is gonna be useful and don't forget from now on you can now promote every pool just by sharing this page with your friends or adding comments in the Facebook boxes below. Come on and aid this pool to be the very first in London! Among all the activities provided by the centre, when you are interested in swimming you will appreciate 25 meters, 6 lanes, Indoors. If you should contact this Pool, email address and phone number are both number. In King Edward VII Park. Nearest tube: Willesden Green. If you believe that any of the data is incorrect, please make contact with us. Aid us be better day-by-day. Updated on 2019 Lychgate Rd. , Orpington , London - South , England , UNITED KINGDOM (Postal Code: BR 6 0TJ). Among all the activities offered by the centre, when you are interested in swimming you will enjoy 33.3 meters x 15 meters, 6 lanes, 1 meters - 2 meters depth, 1 meters - 2 meters depth, Indoors. If you need to contact this Swimming Pool, email address and phone number are both number. Updated on 2019 Westcroft Rd. , Carshalton , London - South , England , UNITED KINGDOM (Postal Code: SM 5 2TF). This sports centre delivers 33.3 meters x 12.5 meters, Indoors. Contact information and facts for this Swimming Pool such as phone number and email address are number. Updated on 2019 21A Piccadilly , Piccadilly , London - Central , England , UNITED KINGDOM (Postal Code: W 1J 0BH). Among all the activities offered by the centre, if you are enthusiastic about swimming you may take pleasure in 50 feet x 35 feet, 1 meters - 2 meters depth, 1 meters - 2 meters depth, Non-Chlorine Sanitized, Indoors. Just in case you need to get in touch with this Swimming Pool before dropping by, we only know the phone number. Updated on 2019 Malden Road , North Cheam , London - South , England , UNITED KINGDOM (Postal Code: SM 3 8EP). Among all the activities offered by the centre, for anybody who is enthusiastic about swimming you are going to take pleasure in 30 meters x 12 meters, Indoors. If you must contact this Swimming Pool, email address and phone number are both number. Updated on 2019 Ironmonger Row , Clerkenwell , Islington , London - Central , England , UNITED KINGDOM (Postal Code: EC1V 3QN). Among all of the activities supplied by the centre, if you're interested in swimming you will enjoy 30.5 meters x 12.5 meters, Indoors. If you should make contact with this Pool, e-mail address and phone number are both number. Updated on 2019 24 Beckenham Rd. , Beckenham , London - South , England , UNITED KINGDOM (Postal Code: BR 3 4PF). Swimmers like you have reported 25 meters, 8 lanes, Indoors. Also, you will find 20 meters x 10 meters teaching pool, Indoors. If it is advisable to contact this Swimming Pool, email address and phone number are both number. Updated on 2019 221 The Highway , Wapping , London - East , England , UNITED KINGDOM (Postal Code: E 1W 3BP). This sports centre provides 33 meters x 15 meters, 6 lanes, 1 meters - 3.8 meters depth, 1 meters - 3.8 meters depth, Non-Chlorine Sanitized, Indoors. For this Swimming Pool, only phone number is number here. Updated on 2019 324 Barking Road , East Ham , London - East , England , UNITED KINGDOM (Postal Code: E 6 2RT). This sports centre delivers 25 meters, 6 lanes, Indoors. Contact information and facts for this Swimming Pool such as phone number and email address are number. The details of this Swimming Pool has been verified lately by a member of their staff.